FREDERICTON (CUP) — It’s been a journey from start to finish for the McGill Redmen. Last year, they suffered a loss at the hands of the University of New Brunswick Varsity Reds, who claimed the national title. But this year, the tables have turned. In a nail-biting overtime victory, the Redmen won their first CIS men’s hockey title in 136 years. “The rest is history,” said the overtime goal scorer and captain of the McGill Redmen, Evan Vossen. Vossen, who is in his final year at McGill, couldn’t have asked for a better ending to his time at university. The game didn’t start in the Redmen’s favour, however, and it almost looked as if they were going to repeat last year’s performance. Western was the first to score. On the powerplay, Keaton Turkiewicz tucked one into the net, with assists from Harnden and Baker, to lead the Redmen 1-0 at 8:38. But that didn’t stop McGill, the team who had yet to win a CIS championship in their history, and who placed second the year before. This year, they came back. McGill put the pressure on in Mustang territory, and at 15:38 they saw their first goal. 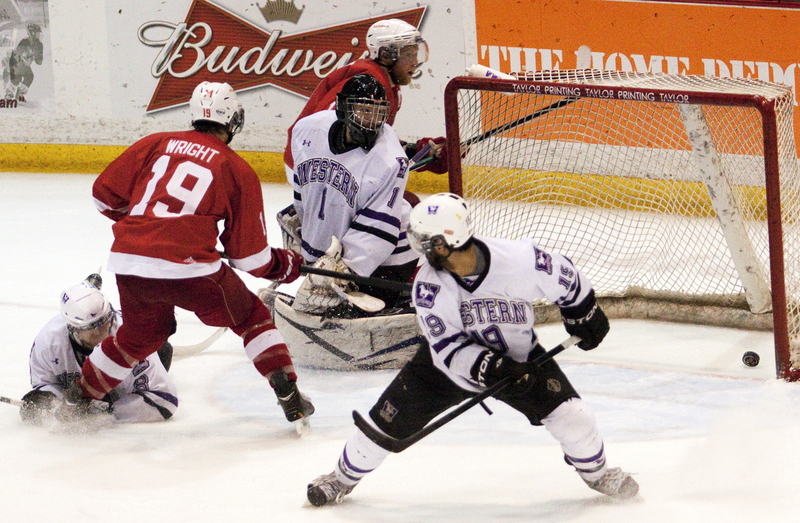 Benoit Lévesque threw the puck past Western’s goalie Josh Unice, for a 1-1 game. The first period would end with the tie. “We just stepped up our routine and just stayed solid. And, I mean, we didn’t change our game plan at all,” said Vossen. The second period saw back-and-forth play. That came after McGill scored 48 seconds into the period. Lévesque got his second goal, with an assist by Marc-André Daneau and Marc-Olivier Vachon. Western came back at 13:49 to even the score 2-2, thanks to Mustang Kevin Baker, with assists from Killing and Aarssen. McGill struck again at 15:27. Nicolas Biniek score with assists from Francis Verreault-Paul, who would later be named tournament MVP, and Longpré-Poirier, to finish the second with a lead over Western. After two periods it was a 3-2 game. Midway through the period the Redmen were looking like they were ready to take the national championship. Verreault-Paul would take a charging penalty at 12:46 after running Unice. 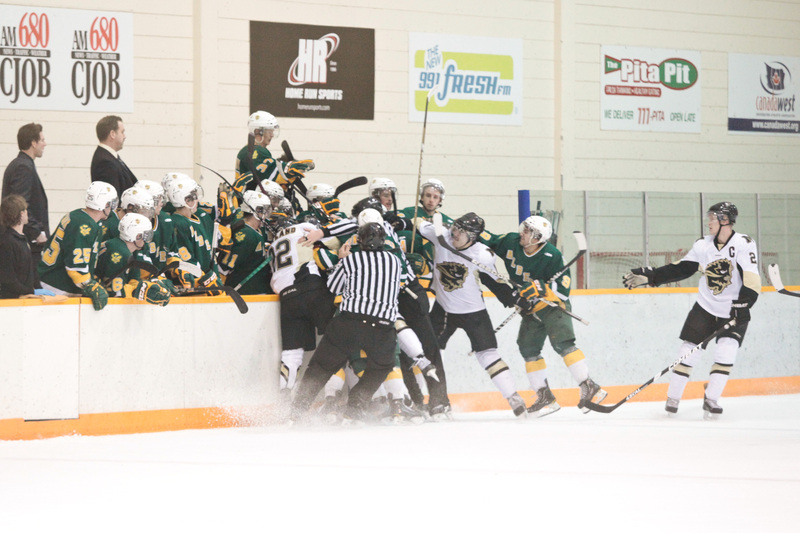 The Mustangs scored on the extended powerplay after the controversial running of the goalie. It became a tied 3-3 game. The clock ticked down to the last seconds of the third period. “A championship game in overtime, you can’t make any mistakes,” said assistant captain to the Redmen, Maxime Langelier-Parent. Six minutes into the 10-minute overtime, McGill captain Vossen would score. “He made a good play over the blue line,” said Unice. “My guys, they battled so hard. You know, I just tried to do what I’m supposed to do. In the end, there’s a couple things I wish I could have done differently. Although the goal went through Unice’s in the five hole, Western head coach Clark Singer is proud of his goalie, who held firm and consistent through the season and the tournament. “I said, ‘Hey, without you, we wouldn’t have been here,’” said Singer. The Redmen dogpiled Vossen and hoisted the University Cup over their heads. “We got a break, and we scored,” said Langelier-Parent. Langelier-Parent would also share this victory with his younger brother on the team, and finish his last season as a Redmen with a championship title. “We were 100 per cent all game long, and I think — I don’t know, I’m out of words,” gushed Parent. For McGill head coach Kelly Nobes, the CIS championship comes after only two seasons of leading the team. This is the first time in CIS history that the McGill Redmen have won the University Cup.